Coconut oil is one of the rare plant sources of saturated fat, which is normally predominantly found in animal products. The oil is extracted from the meat of mature coconuts harvested from the coconut palm. Coconut oil is not to be confused with coconut water, which is the fluid inside coconuts. Despite marketing claims to the contrary, coconut oil does not appear to be health-promoting. We’ve known for nearly a half-century, according to leading cardiovascular disease experts, that coconut oil is “one of the most potent agents” for elevating the level of cholesterol in the blood. It may even be worse than tallow, or beef fat, but not as bad as butter. Coconut oil appears to increase LDL, or “bad,” cholesterol, which is the top risk factor for heart disease, the number-one killer in the United States. In one clinical trial, subjects were given two tablespoons of coconut oil a day for three months. Their “bad” LDL cholesterol went up a bit, but not significantly. During that time, though, they were placed on a calorie-restricted diet to lose weight. When we lose weight, our LDL should drop naturally. The fact that the “bad” cholesterol level didn’t on the coconut oil suggests an adverse effect. A subsequent randomized, crossover trial found that coconut oil did indeed significantly worsen LDL cholesterol. What’s more, according to the Alzheimer’s Association, scientific evidence is lacking that the edible oil may help with Alzheimer’s disease. A study using a supplement of a concentrated form of the medium-chain fatty acids in coconut oil, purported to be the active ingredient, did not appear to find any positive effects for mild to moderate Alzheimer’s patients. Coconut oil may, however, be useful for the treatment of head lice. Standard treatment involves the insecticide permethrin, but alternatives have been sought to avoid subjecting children to insecticides. A recent study found that a nontoxic shampoo, Paramide Plus Coconut Oil Emulsion, was 61 percent effective compared to the 14 percent of children cured with the insecticide treatments. Coconut water is tested head-to-head against plain water and sports drinks in athletes. A video explaining my traffic light system for ranking the relative healthfulness of Green Light vs. Yellow Light vs. Red Light foods. When oil pulling was put to the test for teeth whitening, halitosis, and dental enamel erosion, the results were no better than rinsing with water—or worse. What evidence exists to suggest oil pulling can effectively treat serious diseases such as paralysis, meningitis, cancer, and AIDS? Natural topical remedies for eczema are put to the test, including licorice root gel, St. John’s Wort cream, and emollients such as coconut oil, mineral oil, and petroleum jelly. 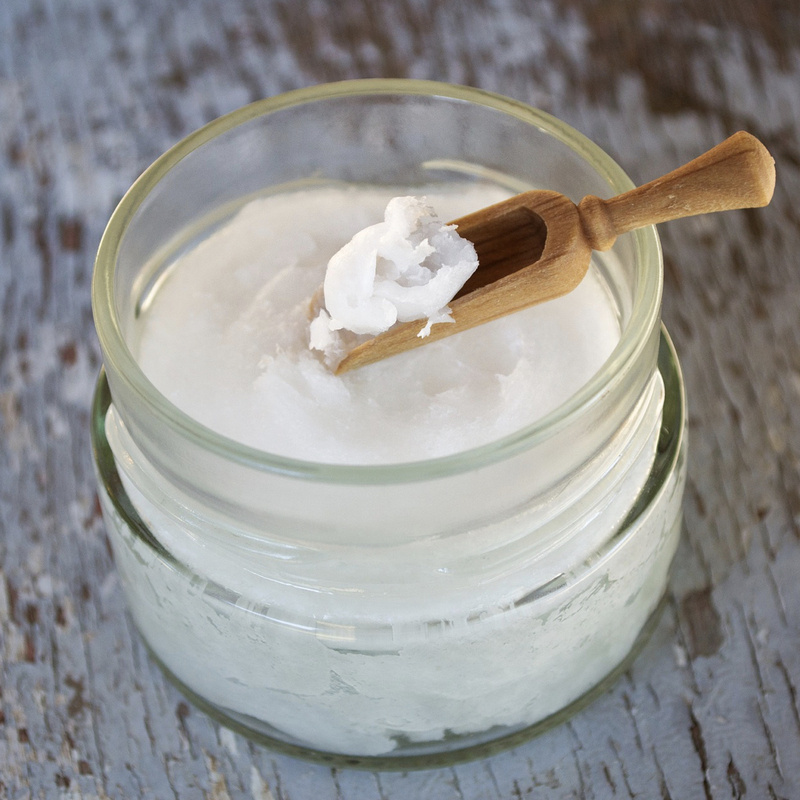 The effects of coconut oil are compared to butter and tallow. Even if virgin coconut oil and other saturated fats raise LDL “bad” cholesterol, isn’t that countered by the increase in HDL “good” cholesterol? What happens inside the arteries going to the hearts and brains of those who add nuts or extra virgin olive oil to their diet? Though there have been more than a thousand papers published on coconut oil in medical journals, there is little evidence it helps with Alzheimer’s disease.